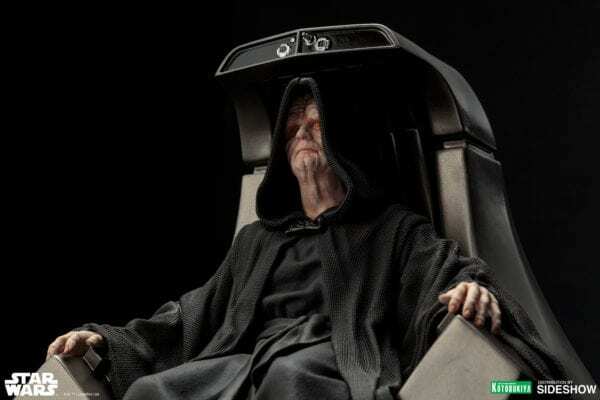 Kotobukiya returns to the original Star Wars trilogy with their Emperor Palpatine ARTFX+ statue, based on his appearance in Star Wars Episode VI Return of the Jedi. 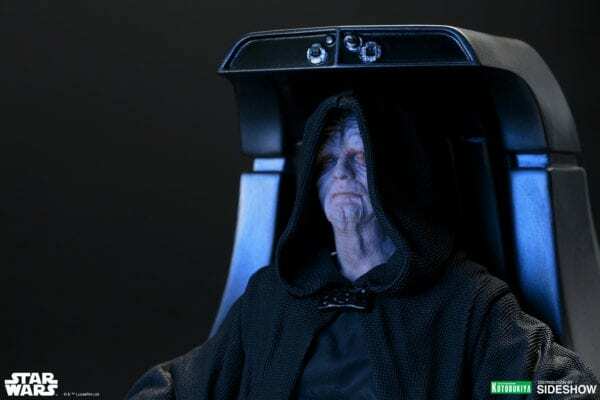 Palpatine, also known as Darth Sidious, who served as the last Supreme Chancellor of the Galactic Republic and the first Emperor of the Galactic Empire. 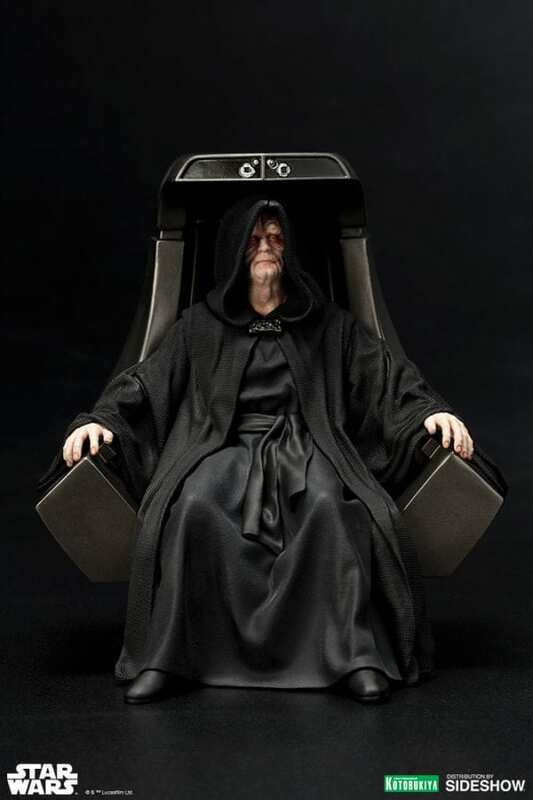 A Dark Lord of the Sith in the Order of the Sith Lords, recorded by history as the most powerful who had ever lived, his entire life was the culmination of a thousand-year plan to overthrow the Republic and the Jedi Order from within. 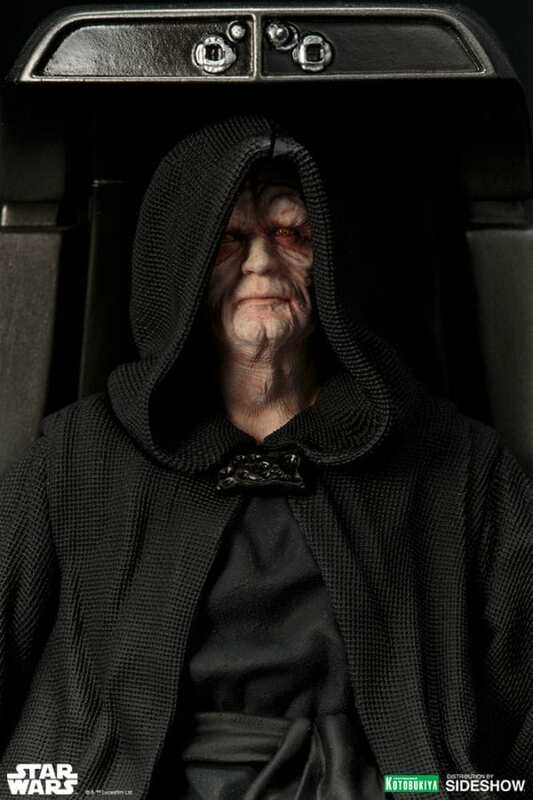 Kotobukiya’s renowned craftsmanship is evident in all the fine details from the folds and creases in the Emperors clothes to the worn and wrinkled evil look in his face. 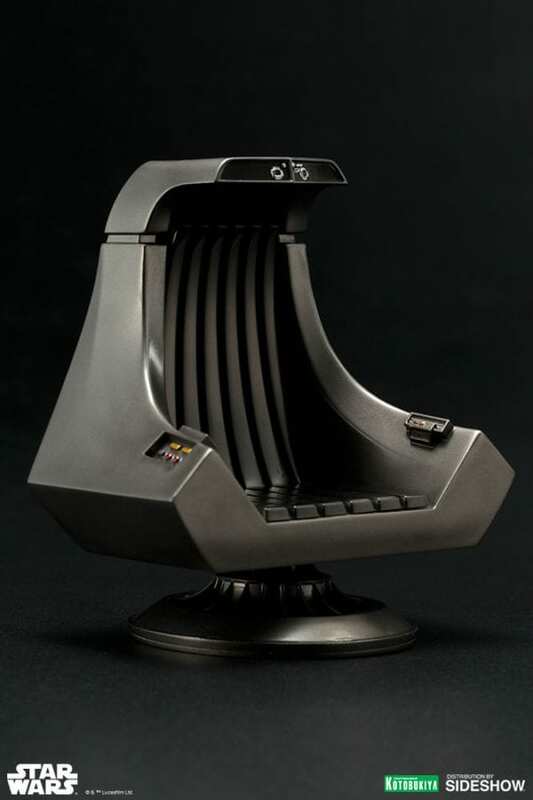 Like all Star Wars Collectibles ARTFX+ Statues, magnets are embedded in the feet to provide extra stability on the included bases. 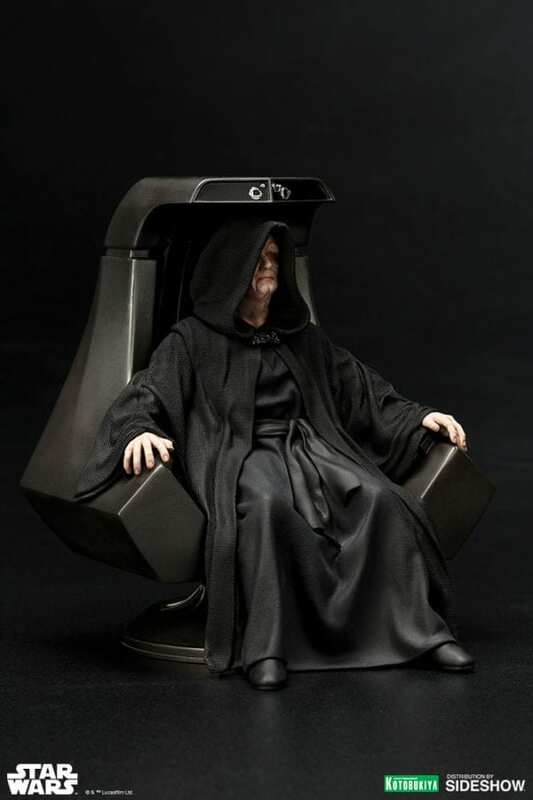 The removable Emperor comes seated on his throne ready to lead the forces of the evil galactic Empire, captured in the midst of action in an iconic pose.